Janice Elaine Sews: What Is It Like To Lose Your Sewing Supplies? What Is It Like To Lose Your Sewing Supplies? That's the question Thearica of Pigtales and Quilts asked in her post yesterday. She lives in NC, but her best friend Debbie lost her home and all of her belongings due to the fires in Oklahoma over the weekend. She's asking the quilting community to pitch in and help rebuild Debbie's stash of quilting and sewing supplies. Please go over to Thearica's blog and see how you can help. I put a package in the mail, today. 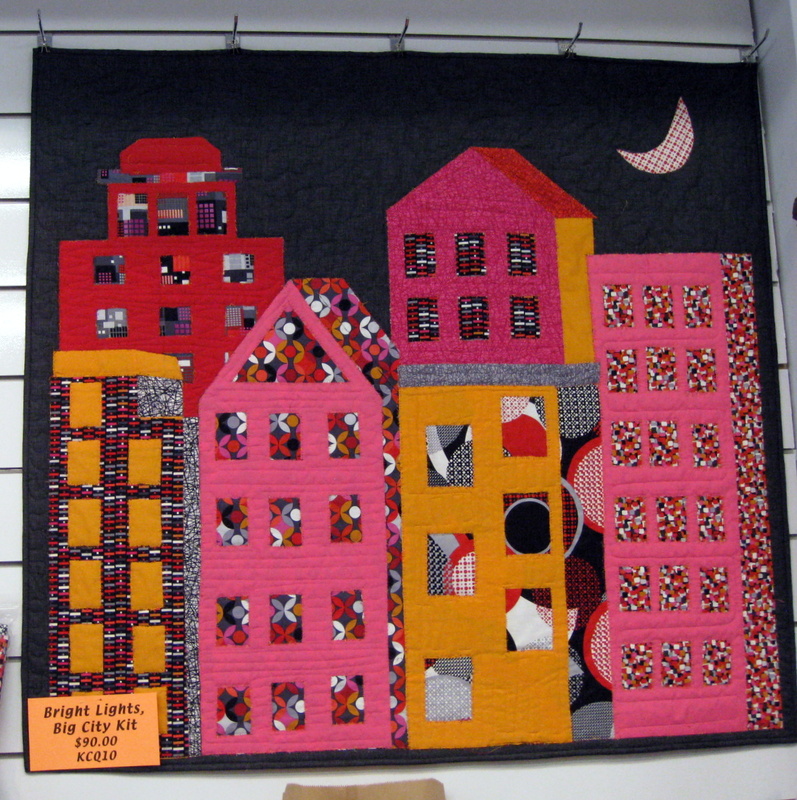 Because every post needs a photo, this is a sample quilt hanging in City Quilter, NYC. Stop by when you're in NYC. That is so awful to loose everything like that!